Materdei station is part of the Naples Metro art stations – the Daily Telegraph has named it the 16th most beautiful one in Europe! If you want to know more about the other art stations read theBookingNaples Free Guideto know everything about Naples Metro! 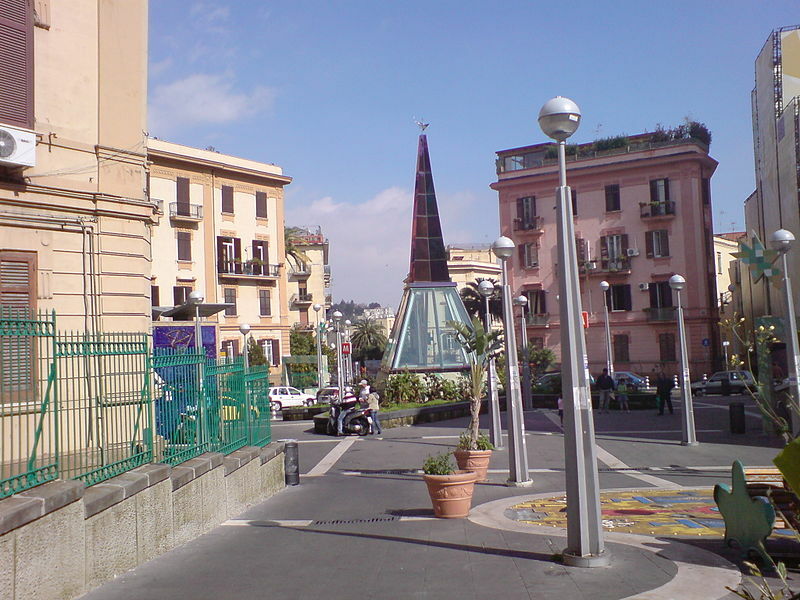 The Materdei station was designed by the Italian architect Alessandro Mendini, who also designed the glass spire that you can see in the street. Inside the station you can see works by artists such as Sandro Chia, Luigi Ontani and Sol LeWitt. Getting off at Materdei you have the chance to visit churches and monuments in the neighbourhood and easily reach on foot the rioneSanità, another very famous district of the city. It is the place where Antonio de Curtis, better known asTotò,was born. In the streets of Materdei was also shot a very famous film, The Gold of Naples – with Sophia Loren. In Materdei there are a lot of churches to visit. Among them, the 16th century one, Santa Maria a Materdei, stands out. Among its peculiarities is the large cloister. It is an element that looks like the one of another Neapolitan church that is more famous: Santa Chiara, in Piazza del Gesù. From Materdei it is possible to reach therioneSanitàvia Santa Teresa degliScalzi street. The RioneSanità is very old: in the Greek-Roman era it was already a burial place. All the recalls to the death has lasted over time. For example, today it is possible to visit the Fontanelle cemetery where in 1655 many victims of the plague were buried. The same cemetery was also the subject of inspiration for a contemporary artist, Rebecca Horn. At the RioneSanità there are also some very important historical buildings such as the San Gennaro hospital, with statues and sculptural reliefs on the façade, and the Spanish palace, famous for its special stairs. The area of ​​the Spanish palace, the Virgins Alley, is also called the “baroque alley”, due to the architectural style of the buildings. As in many areas of Naples, the RioneSanità also has an easily accessible underground world.